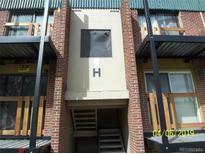 Below you can view all the condos for sale in the Seven Springs subdivision located in Denver Colorado. Listings in Seven Springs are updated daily from data we receive from the Denver multiple listing service. To learn more about any of these condos or to receive custom notifications when a new property is listed for sale in Seven Springs, give us a call at 720-729-2332. A little Fix Up will go a long way. MLS#5937741. HomeSmart Realty Group of Colorado. month to month tenant MLS#3463665. MB REALTY BROKERS OF COLORADO LLC. 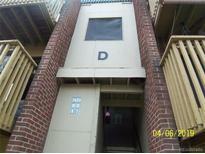 Unit is rented through November 30th for $1050 per month. Call for more details. MLS#3900215. MB REALTY BROKERS OF COLORADO LLC. Unit is rented through November 30th for $850 per month. Call for more details. MLS#9522511. MB REALTY BROKERS OF COLORADO LLC. Community pool and tennis courts. Quick move in! MLS#5903337. Berkshire Hathaway HomeServices Elevated Living RE. Lots of character in this special home, you will LOVE IT! MLS#4455007. RE/MAX Professionals. Please Note That They Are Doing Construction On The Units To Put New Patios On, So Please Mind the Mess. MLS#7637399. Brokers Guild Classic. Seller will clean, paint, and make repairs as necessary. MLS#5310908. MB REALTY BROKERS OF COLORADO LLC. Owner says property will be delivered to Buyer cleaned up and in good condition. MLS#5990689. MB REALTY BROKERS OF COLORADO LLC. Shopping is very close as well. MLS#3468992. CENTURY 21 Dream Home. Faces south on to greenbelt area. MLS#8769987. MB REALTY BROKERS OF COLORADO LLC. With low HOA fees, this is a great opportunity for someone. MLS#7756410. Your Castle Real Estate Inc. The complex has an outdoor pool & laundry facility. MLS#7616464. MCLEAN REALTY LLC. plenty of guest parking lots and you will get parking passes for your parking rights. MLS#1940193. Brokers Guild Classic.